I have an exhaust Akrapovic, In a HSB 390, but I don´t know which model is. In Spain, there is none like this. Last edited by tonigalapago; October 24th, 2016 at 02:00 AM. I got to stop reading theses now I want one to!!!! This model is different from the usual. To him you can not remove the DB Killer. At least those in Spain are often able to remove. Aha I see it on the picture now. There is no dB killer, it's the design itself. Very strange yes. 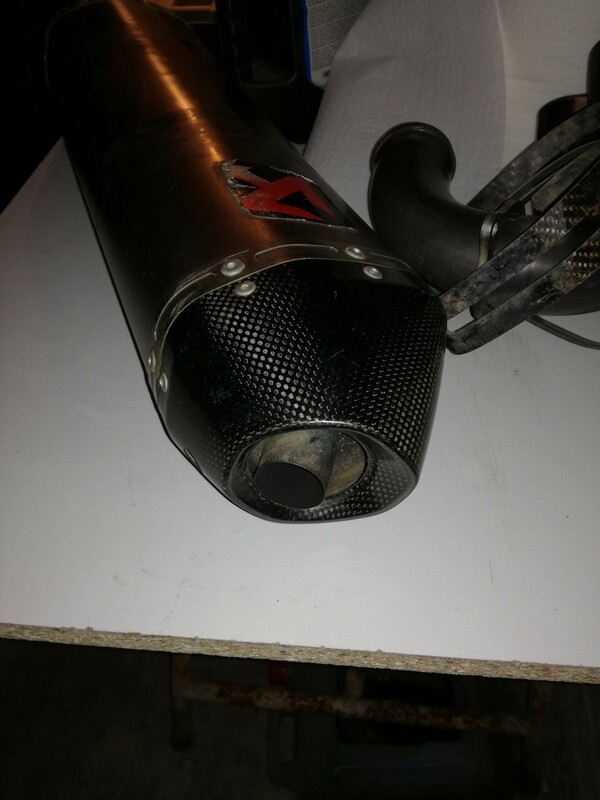 Send an email to akrapovic and ask if it is a cheap copy or from them. Just a thought: Maybe in some countries, the dB killer must be fixed and non-removable? Because of laws? It's possible because of laws.